"A system based on greed will never be good enough. But a system based on solidarity has a chance." Years ago, aiming to make sense of a set of strange autoimmune symptoms, Katie created a visual timeline of her experiences to help express herself during limited time with a new clinician. “You have such a loss of control and confusion and anxiety when things are happening with your body and no one can figure out why. That doctor visit, I realized that bringing my story in this very visual format helped me take control of the conversation; it helped me remember what I wanted to say and structure the conversation in a more coherent way. I used this [visual] format in a number of subsequent visits and it was a helpful way to tell my story and very helpful for the doctor as well." Since that time Katie has created Pictal, which is a set of worksheets that patients can use to create a health history timeline and show how symptoms look and feel on their body. "As a patient, I have extensively used timelines to efficiently talk about my own health history, and I have also used drawings on body shapes to show my symptoms. 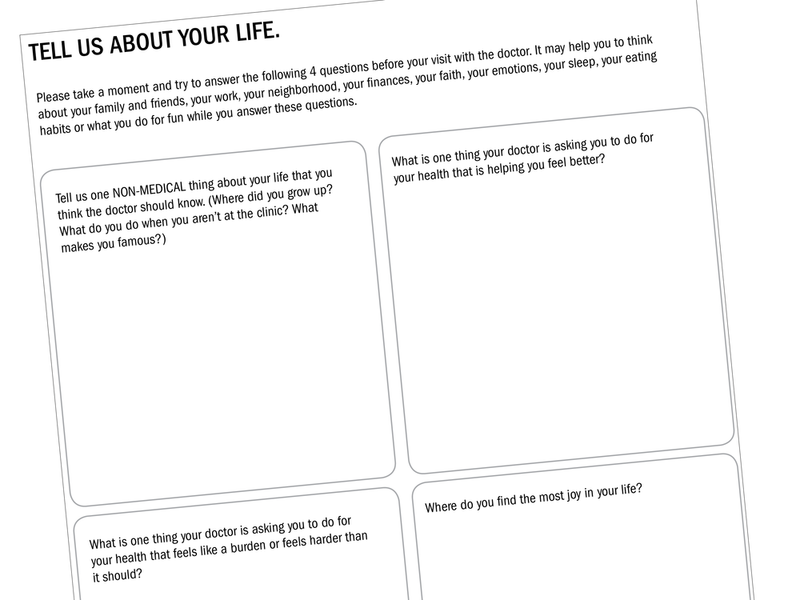 I decided to create worksheets that would help other patients could use to do the same." People can download the worksheets and use provided visuals, or create their own interpretations, to map the symptoms they are feeling. "I have a vision of better collaboration and mutual understanding. Patients have so much information! And doctors want to know that information. The problem is that many patients don’t have the tools or time to tell their story efficiently and coherently.” Working within a system that often whittles patient/clinician interacts down to a single-digit number of minutes, the ability to streamline collaboration is more important than ever. 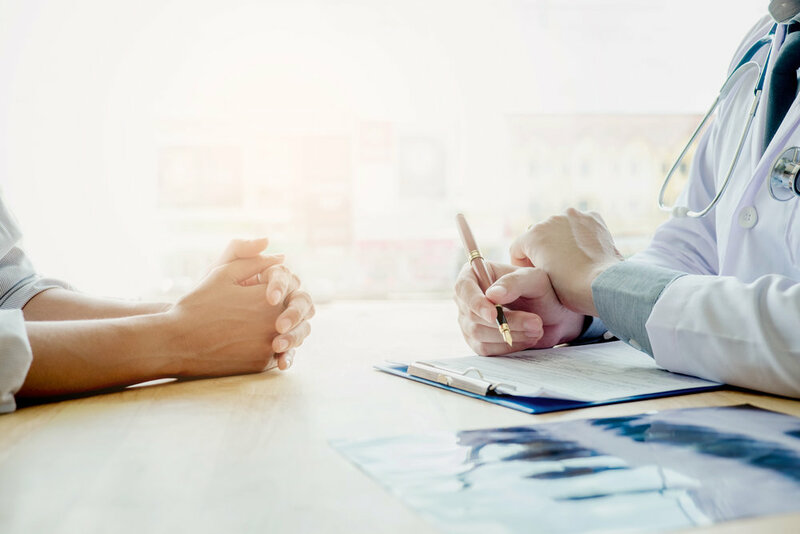 Through this tool, patients of varying health literacy levels can share their experiences and symptoms, helping bring their clinicians up top speed quickly during a visit, ultimately leading to more productive discussions. To learn more about Katie's work, you can visit her website, or follow her on Twitter @katiemccurdy. To download the Pictal worksheets, click here. Which isn’t always the full truth. What makes honesty so challenging to achieve in the doctor's office? Why do patients feel that total transparency isn’t encouraged, or embraced? So none of us are perfect, but we're not sure how much imperfection we're allowed to share before we put our care at risk? We found that people often put the same thing in both categories. From the resulting conversations, it seemed they were looking for a way to say "I'm trying" to their clinician. "I'm trying to eat better and exercise more. But it is also really hard." And when they were able to do this, clinicians almost always responded with empathy. The patient's willingness to be vulnerable opened up a space for the clinician to acknowledge that none of us is perfect and making an effort is often the best we can hope for. So patients - in your next visit, consider telling your clinician what you're trying to do and see if that vulnerability opens up a space for careful and kind care in your visit. And clinicians, consider what you could be doing to create an environment in which patients feel more comfortable being vulnerable.